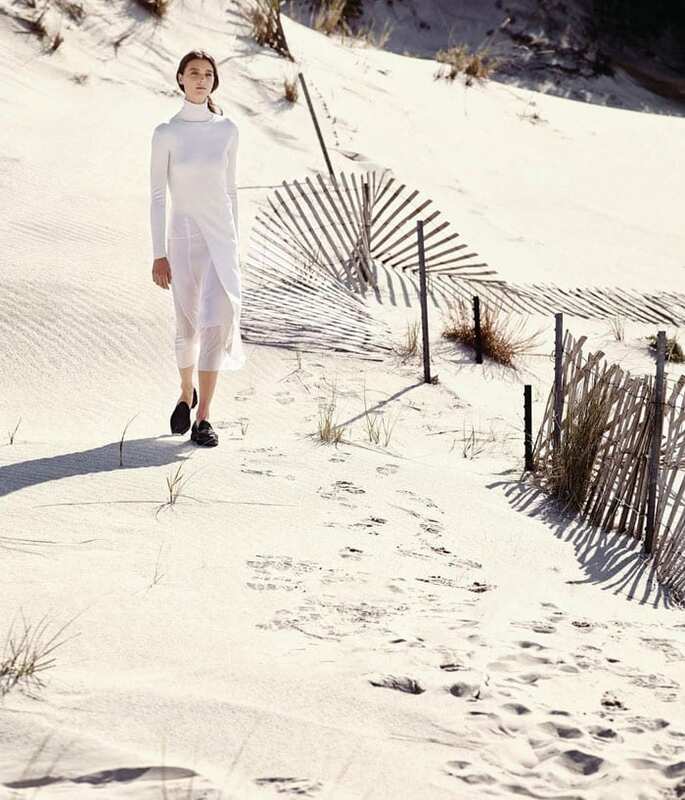 Feeling incredibly inspired by these beautiful seaside images from an editorial in the latest issue of WSJ Magazine. Though intended to influence your trans-seasonal sartorial decisions I’m already thinking about how to recreate the outfit above. I just need to find a cosy loose-fitting polo-neck jumper, a delicate floaty midi-length skirt, both in cream and some masculine loafers and I’ll be there! I have so much admiration for Vanessa Traina, the stylist on this shoot, her elegant, quirky and sophisticated approach to fashion is equally matched by her interior design expertise, just take a peek at The Line for oodles of inspiration and lusting. Stephanie Joy Field (the model in this editorial) is just so beautiful, she has such a natural feminine beauty; her portfolio contains so many exquisite photographs.